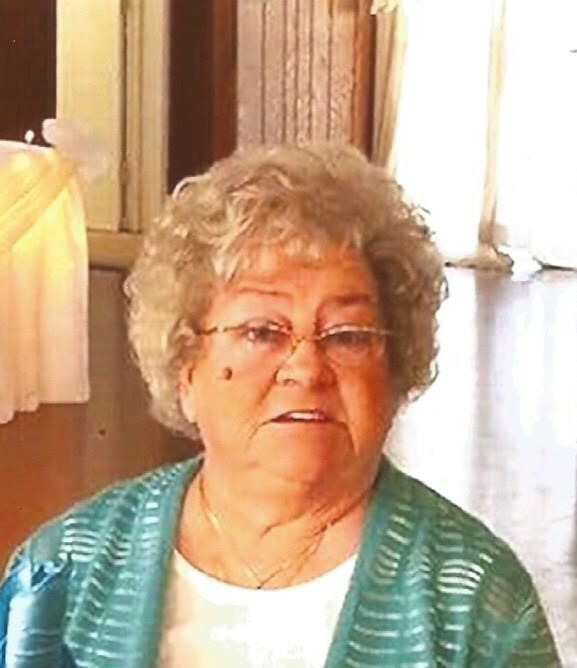 Linda Lou Lake, Uniontown and Fairchance, Pa.
Linda Lou Lake, 76 of Uniontown and Fairchance, Pa. went to be with her Lord Jesus Christ on her beloved son Randy’s birthday, April 6, 2019. Preceding her in death were her loving parents, Ralph and Bea Lewis; her husband, Frank Lake and beloved son, Randy Lake. Surviving are her loving children, Bobby and Donna Lake, Uniontown, Pa., Pam Price whom she shared a home with, Teresa and Robert Tomaro, Weston, W.Va. and Ricky and Sharon Lake, Fairchance, Pa.; her pride and joy, her grandchildren, Danny and Anna McLaughlin, Kevin Lake and Bonnie, Tara and Jason Azzardi, Tiffany and Steve Kimmel, Ashley and Chad Filmeck, Tiana Lake, Jamie and Patric Connors and Brandon Price; her precious great grandbabies, Michael, Sierra, Chrystian, Zander, Kaleb, Xavier, Alayna, Aubree, Trenton, Evelyn, Camryn, Elliot and Damien; her loving sister, Sue and Randy Pierce, Surry, Va.; brother, Paul and Romagean, Cowen, W.Va.; several nieces and nephews and her loving dog, Banjo. Linda enjoyed watching her great grandson Michael race his race car. Linda was a Notary Public for over 40 years. She was a member of the First Baptist Church in Fairchance and over the years served as Deaconess, Sunday School Teacher and Choir Member. She also hosted Teens for Christ Club meetings in their home. The family will greet friends and family in the Dean C. Whitmarsh Funeral Home, 134 West Church Street, Fairchance, Pa. on Monday from 6 to 8 p.m., Tuesday 2 to 4 and 6 to 8 p.m. and on Wednesday, April 10, 2019 in the First Baptist Church, 17 North Morgantown Street, Fairchance, Pa. from 10 to 11:00 a.m. The Funeral Service begins at 11:00 a.m. with Pastor Pete Malik officiating. A Special Thank You is extended to Ruby Memorial Hospital, Uniontown Hospital, Uniontown Health and Rehabilitation Center and Amedisys Hospice of Uniontown for all the quality care given to Linda.